The spirit that moves through “Fire” is not travelling in a straight line. Don’t expect a linear chronicle of reflection and personal progress. There are switchbacks throughout. Do expect insights profound and personal. Brueggergosman touches on most of her major life events early on, and then revisits them later in the text, going deeper in the process of writing it all down. 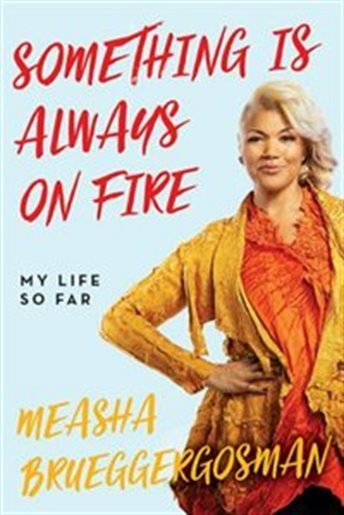 Exuberant, funny, proud and humble… what shines through the truth of Something is Always on Fire is not only a singer of incomparable talent, but a woman of uncommon perseverance who owns her high notes, her lows and all measures in-between. 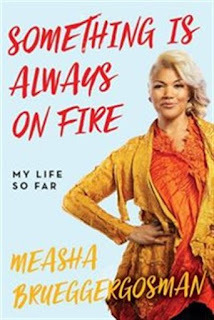 "books about opera singers" "Measha Brueggergosman" "Something is Always on Fire"
Labels: "books about opera singers" "Measha Brueggergosman" "Something is Always on Fire"